In the event of a fire, the Highfield Fusible Fire Valve will permanently shut off the flow of gas at the service entrance or gas meter. The spring-loaded internal plunger mechanism automatically activates when the ambient air temperature reaches 136 degrees Fahrenheit. 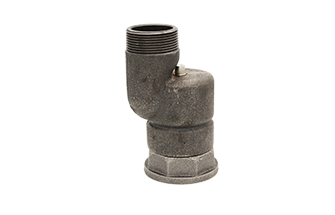 This causes the plunger to immediately close against the valve seat preventing gas from feeding a fire, drastically reducing the amount of potential fire damage to your property. Highfield can also assemble customized kits comprised of our gas valves and swivels, guaranteed to fit each other precisely, ensuring a level installation of your gas meter. Copyright © 2019 Highfield Manufacturing Co.